The chairman of the Senate Homeland Security and Governmental Affairs Committee threatened Wednesday to halt the confirmation of nominees to key positions at the Office of Personnel Management until he is confident the agency will comply with long-running requests for documents related to the Affordable Care Act’s implementation. The committee held hearings Wednesday for President Trump’s nominees to be director and deputy director of OPM. 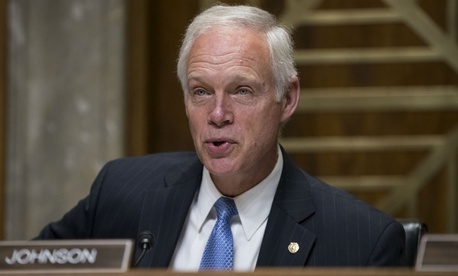 Sen. Ron Johnson, R-Wis., asked Jeff Pon, the White House’s pick for director of the agency, whether he would commit to providing all documentation relating to a 2013 OPM rule allowing employees of Congress to purchase insurance on the D.C. Small Business Health Options Plan exchange and receive an employer subsidy. Johnson has for years sought information relating to the rule. The senator has contended that the decision went against the will of Congress, since the Senate voted against an amendment to the ACA allowing an employer contribution for legislative branch employees ahead of the bill’s passage. Republicans never confirmed Beth Cobert to be permanent OPM director in part because of the issue. Despite Johnson’s threat, the hearing went relatively smoothly for Pon and for OPM deputy director nominee Michael Rigas. Senators from both parties asked the nominees how they would approach long-running issues with the federal government’s human resources department, including difficulties in hiring people in a timely manner; fallout from the 2015 hack of OPM’s database of employees, retirees and job candidates; and backlogs in processing security clearance and retirement requests. Rigas said his No. 1 priority as deputy director of OPM would be to improve the agency’s IT and cybersecurity infrastructure. But Pon seemed initially reluctant to say how he would handle the agency’s ongoing efforts to train federal managers and employees on the issue of workplace discrimination based on sexual orientation and gender identity, when asked by Sen. Kamala Harris, D-Calif., about Attorney General Jeff Sessions’ memo establishing a stricter reading of Title VII of the Civil Rights Act of 1964. “Do you understand you would not be in violation of the law to continue the practice of ensuring that federal employees are trained to avoid, to detect and to report discrimination based on gender identity and sexual orientation,” Harris responded. “If confirmed I would make sure I understand the law and enforce the law,” Pon said. “What do you believe the law to be right now, as it relates to discrimination against people based on gender identity or sexual orientation?” Harris asked. “As you’ve indicated, training and development based on making sure we don’t discriminate based on sexual orientation or gender identity is the current law,” Pon said. Johnson encouraged Pon and Rigas, once confirmed, to be proactive and come to committee members whenever they find themselves hamstrung by an arcane rule or regulation.